In HEIBus project one work package is Expert level real life problem solving (EXPERT) aiming to develop and pilot a new cooperation model between HEIs and companies. The idea is that a company utilizes experts from HEIs in their development projects. This enables companies to bring complicated problems to be solved by international and multidisciplinary experts. The cooperation model is tested by pilot projects, which are running in two phases (the first three start in January 2018 and the last three in January 2018). One of the first round pilot project companies was Electrolux Lehel Ltd. in Hungary. Their topic is “Developing a pipe air flow resistance measuring device for vacuum cleaner pipes ” and the company wanted expertise in following areas: mechanical engineering, electronics, aerodynamics (fluid dynamics) and data collection. For this pilot project, the HEI experts come from University of Miskolc in Hungary (ME), Technical University of Cluj-Napoca in Romania (TUCLUJ) and JAMK University of Applied Sciences in Finland (JAMK). 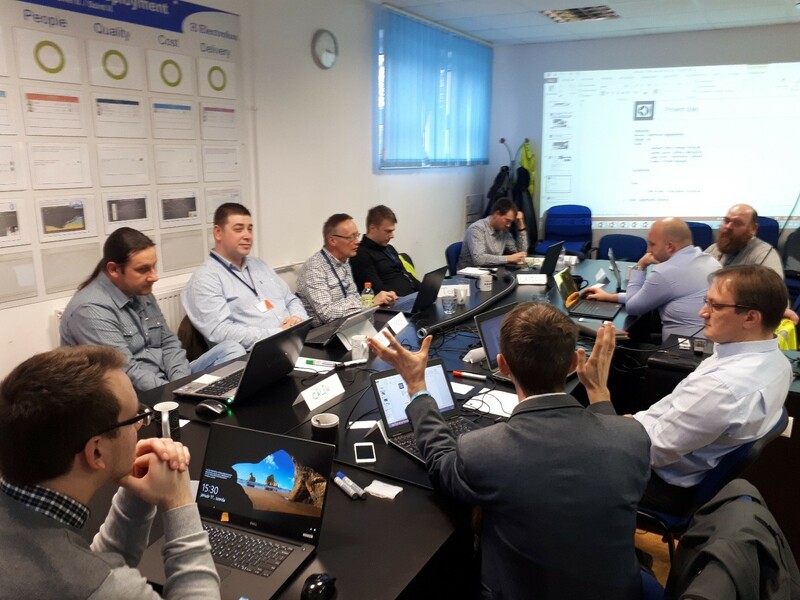 The control group of the project consists of Tamás Nagy Abonyi from Electrolux, Jorma Matilainen from JAMK, Szabolcs Szávai from ME and Calin Rusu from TUCLUJ. JAMK: Tomi Nieminen (Fluid dynamics) and Jorma Matilainen (Mechanical engineering). The first day of the meeting at Electrolux started with the presentation of the company including factory tour. During the factory tour it was possible to see also different kinds of tests of vacuum cleaners which helped in understanding the topic. After the tour there was presentation of HEIBus WP4 and presentation of the topic. The rest of the day the group made planning of the project and discussing of the problem to be solved. The second day at ME consisted mainly project work and finalizing the project plan. Main thing was also to agree on next tasks and responsibilities. It was decided to keep videoconferences on Fridays at 10:00 (CET) weekly during the first month and later every second week. As a conclusion, at the beginning it was a little unclear what is the real need of the company but during the kick-off meeting that could be confirmed. The company was very well involved with the project and have several persons taking part of that.